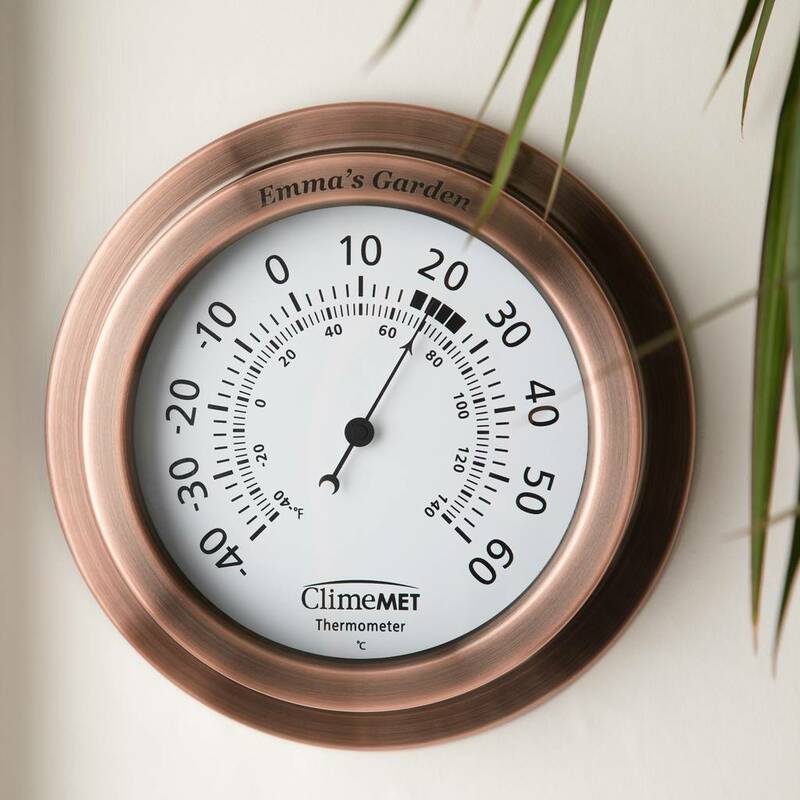 Our ClimeMET Thermometer Dial is the perfect gardening gift, and will add a touch of style to any garden thanks to the contemporary metallic finish. Introducing our new Modern Metallics range, featuring a warm rose copper colour, perfect for complementing coastal homes with a nautical feel, and a golden bronze colour, ideally suited to rustic country living. 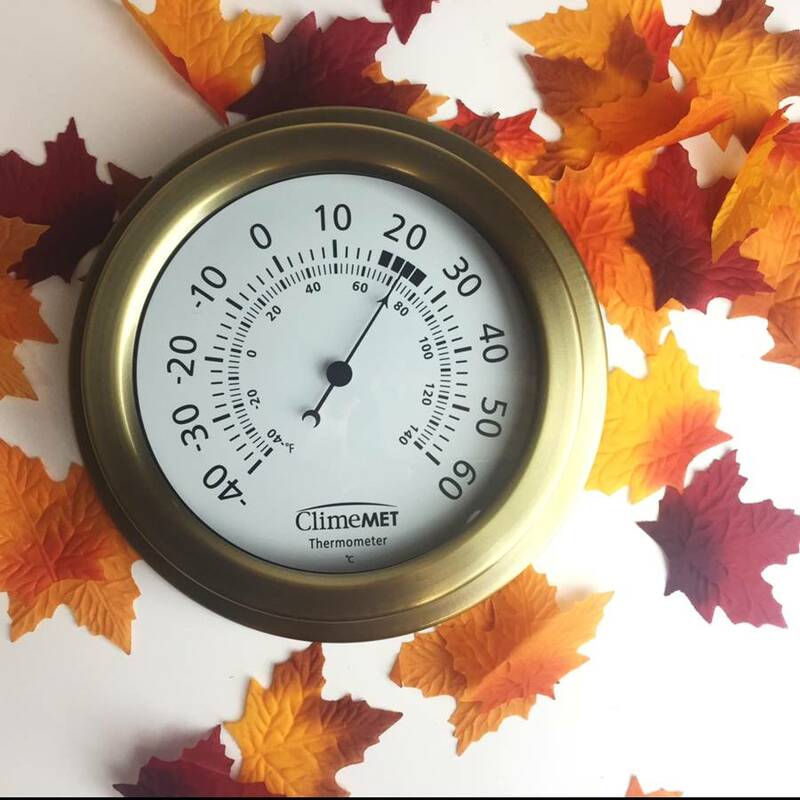 Keeping an eye on the air temperature in your garden with our ClimeMET Thermometer can help you decide whether it's warm enough to move your plants outdoors, or whether it's pleasant enough to enjoy an afternoon of golf. The perfect gardening gift. 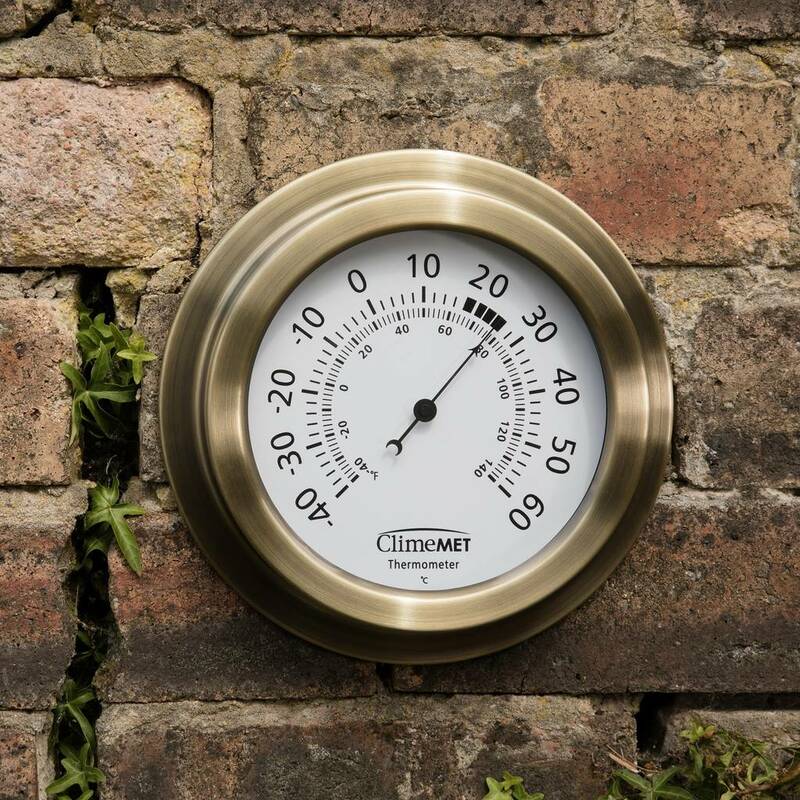 Measurement range: -40°C to +60°C or -40°F to 140°F. 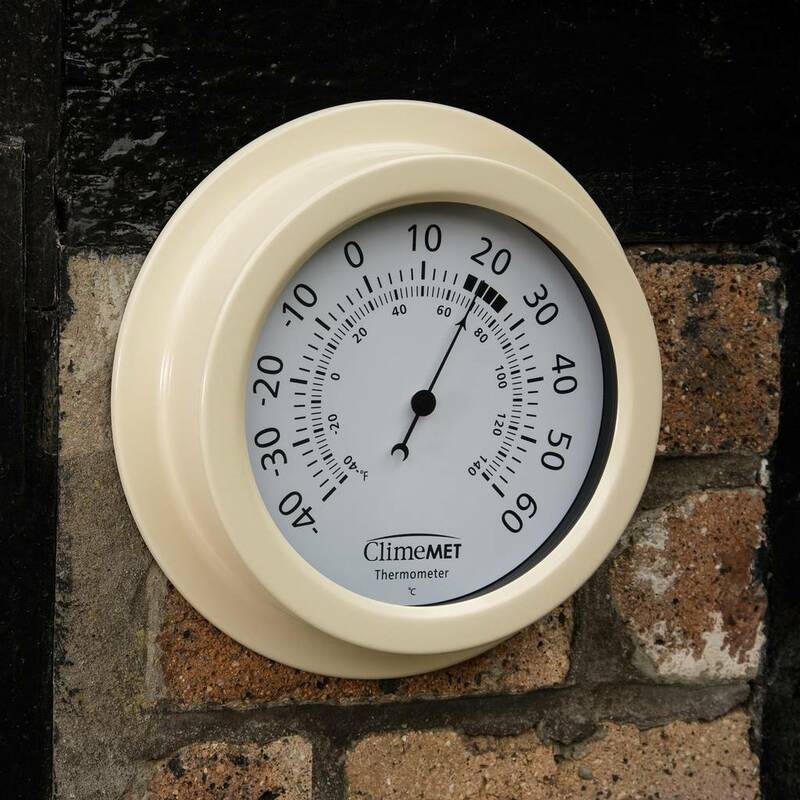 Accuracy: +/- 1°C. 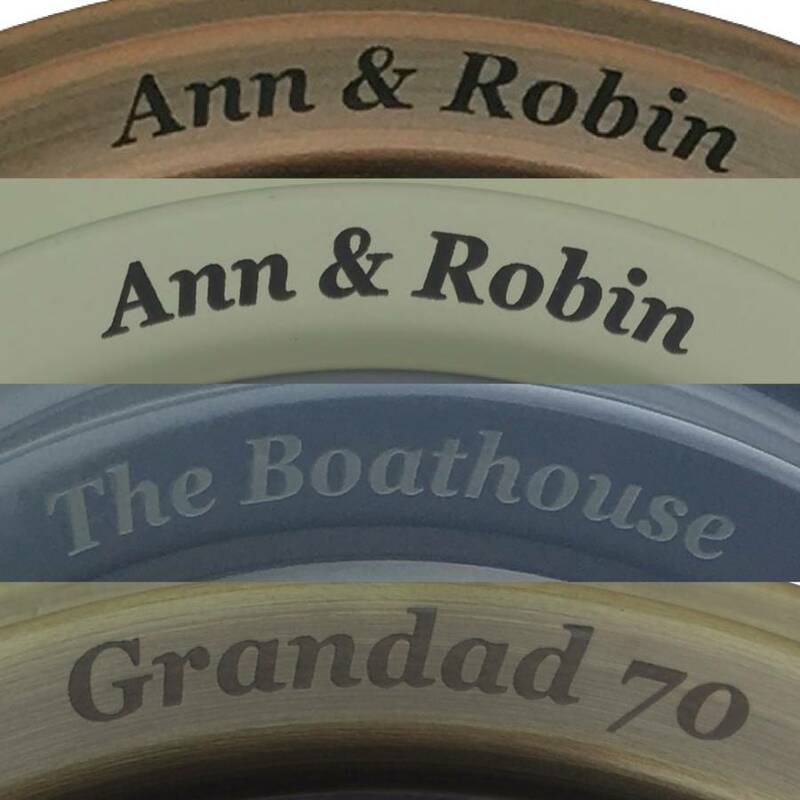 Available in both Rose Copper and Golden Bronze.